It should be noted that the novelty differs from other models both with its design and functions. The collection of Histoire de Tourbillon by Harry Winston emphasizes the role of tourbillon as a way of expressing time, which is unique in its range, depth and plot. This is really a work of art that reflects the passage of time and nature. There was a time when mathematicians, engineers and watchmakers, designers and even philosophers have combined their knowledge and efforts to defeat the laws of physics. They managed to create a mechanism that is in constant motion, revealing the innermost secrets of time. In the third chronological setting, which is dedicated to the tourbillon, the brand Harry Winston has made emphasis on the two rotating triggers due to which time is easy to overcome gravity. None of the mechanism can display the time as it makes the tourbillon. This stunning spinning mechanism reflects the complexity of the time. Each of the three tourbillons runs at different speeds and fulfills its specific function. Two of the tourbillons are inserted inside each other, reflecting the fourth dimension of time in the three-dimensional space. The first carriage makes one revolution per 40 seconds, the second - for 120 seconds, and it revolves around a perpendicular axis located, so that the watch balance moves in all planes with respect to the gravitational field. This in turn allows compensating the error of the watch testimonies that arise depending on their position in space. The third carriage is intended for the tourbillon with a separate balance sheet. It is set on the traditional axe, but its speed is higher than usual. It makes one revolution in 36 seconds. It is impossible not to mention the fact that the tourbillon is most effective when the watch is in an upright position, because the rapid rotation of the balance sheet reduces the effects of gravity. For greater accuracy two regulatory systems are connected by means of a differential gear, which leads to the mean frequency of oscillation. It should be noted that the installation of two triggers and three tourbillons, which differ in weight, speed and inertia, was necessary to allow sufficient time and knowledge to properly distribute the energy. In order to double Tourbillon system was easy and did not use much energy, it was made of titanium and aluminum alloys. The watch design is very original. The case itself is a complex structure which consists of 77 parts of white gold, but the lugs and bezel are made of Zalium - made of hard and ultra-lightweight alloy of zirconium-based. This alloy is used in jet engines; it is characterized hypoallergenic and anti-corrosion properties, which is quite ideal for the manufacture of watch cases. Smooth lines of the tourbillon, which emphasizes the framing of white gold, clearly stands out against a background of a lower dial, made in the shape of a rectangle. On the dial there are different indicators. The lugs of the watch are decorated with a pattern in the form of a triple arch, has been given acute-angled shape. Matt on the polished surface of the ground, glittering facets, combined with a protective gray touch of zalium - it's pretty luxurious elements that give bold outlines to this exclusive architectural composition. The hours and minutes indication is carried out by individual marks on the rotating disk and seconds are marked on the scale, which is located around the double tourbillon. The individual dials are protected by 5 sapphire glasses with anti-reflective coating. The crown is located at 3 o’clock position, made of white gold and rubber and adorned with an engraving HW. In one model combines not only the watch, but also jewelry craftsmanship. Last is seen in the presence of such precious stones as sapphires, citrines, which decorate the power reserve indicator. The degree of barrel’s spring winding is shown by eleven blue sapphires from dark to light tones. And appearing in front of the pointer’s mark six yellow citrines are telling that it is time to wind the watch. Each tourbillon from the Histoire de Tourbillon line is released only of 20 items. 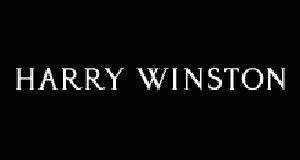 Each new model in this line proves the fact that the Harry Winston company is moving forward in surprising mechanism, opening new secrets of time. The model comes on a hand-sewn black alligator leather strap with double buckle in white gold. The watch water-resistant is 30 meters. The novelty is equipped by a mechanical movement with manual winding, consisting of 479 components, with a power reserve of 50 hours, functions of hours, minutes, small second hand and a power reserve indicator.